​​C. Tyler DesRoches is Assistant Professor of Sustainability and Human Well-Being at the School of Sustainability and Assistant Professor of Philosophy at the School of Historical, Philosophical and Religious Studies at Arizona State University. He has a PhD in philosophy from the University of British Columbia and his areas of specialization include the history and philosophy of economics, human well-being and sustainability. 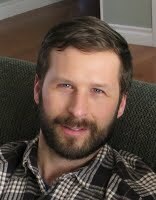 Formerly, Tyler was a Forest Economist with Natural Resources Canada and a Sessional Lecturer in the Department of Philosophy and Vancouver School of Economics at the University of British Columbia. He is a Founding Editor of the Erasmus Journal for Philosophy and Economics and a co-Founder of the Canadian Society for Environmental Philosophy. He has published articles in the Australasian Journal of Philosophy, Ethics, Policy & Environment, History of Political Economy, Sustainability, Philosophy, Theory, and Practice in Biology, Journal of the History of Economic Thought, and the Canadian Journal of Forest Research. Tyler's first book (edited with Byron Williston and Frank Jankunis) is entitled, Canadian Environmental Philosophy (2019). His second book, a monograph, is entitled, Sustainability without Sacrifice: A Philosophical Analysis of Human Well-Being and Consumption (under contract with Oxford University Press).